We’ve just returned from two and a half weeks in Nepal. It was wonderful. 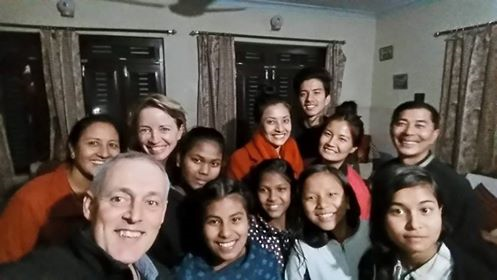 We had 27 dal bhats in a row, with our Nepali friends in Pokhara, Dhulikhel and Kathmandu. Amazing! Many of them were our original friends back in the nineties, so back then, we were having our first children together… and now those same children are getting married. It was so lovely to catch up with their latest news and to laugh and cry together again. As well as that, Darren presented his shoulder research at the Nepal Physio Association Conference in Kathmandu, and he travelled to the east of the country for a friend’s wedding, and he was involved in lots of meetings regarding setting up a Masters of Physiotherapy course. 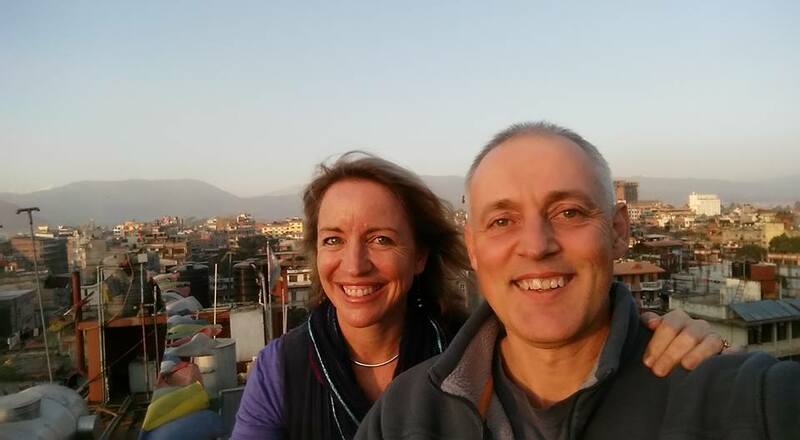 It’s amazing to think that 23 years ago, when we first arrived in Nepal, there were only two Nepali bachelor-level physios for the population of 20 million. And now there are hundreds working across the country and they’re all part of the World Congress of Physios. The best thing for me was looking back and seeing glimpses of the way God has worked over time – the things we could never see at the time. The physio course in Dhulikhel is still going strong. Our church in Pokhara has grown to 1000 members and they have planted ten daughter churches. My friend Srijana has been able to educate her children and the eldest is now studying nursing. 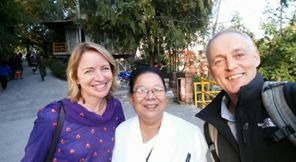 Another friend remembers reading the Bible with us in Pokhara, 20 years ago. He says it meant such a lot to him then because he’d only recently come to faith in Jesus. Other friends have been able to buy land and build small houses. But the stories are not all easy or happy. A few friends lost their family homes in the earthquake last year. My friend Lalu is still struggling with the loss of her daughter some years back. She remembers praying and crying with me after it happened. Over decades, life is really hard, for all of us. Within that though, I’m so thankful for their honesty and their vulnerability in sharing their pain and hope with us. Even now, they say, God is still present and he’s still at work, all of the time, in everything, to grow our faith in Jesus. May our lives bear fruit for the Gospel, in small, unseen ways, in whichever country God allows us to be, today. My 16 year old daughter who doesn’t enjoy reading has spent the school holidays reading My Seventh Monsoon and God has encouraged her and challenged her so much.